Where is the best place to go for sourcing new products? Sure you could hit up the usual suspects like Alibaba, or you could try a different group like Global Sources. On this episode of The Amazing Seller, you’ll hear from Scott as he welcomes his guest, Meghla from Global Sources. In her conversation with Scott, Meglah talks about how she got started with Global Sources, what you need to know about sourcing your product, the difference between a trading company and a manufacturer, and much more. Don’t miss a minute of this informative episode! Trying to figure out the sourcing piece of building your ecommerce business can be quite the hassle. Meghla is here to help cut through all the complexity and help sellers like you get a better understanding of what sourcing your product entails. Starting off, make a list of what your ideal supplier would offer. Once you’ve determined the parameters, it will make your search that much easier. If you just want to get test products and samples, your best bet is to connect with a trading company. To hear more about sourcing your product, make sure to listen to this episode of The Amazing Seller! The difference between a trading company and a manufacturer. Do you ever get confused by the terms and the differences between various organizations like a manufacturer and a trading company? You are not alone! Thankfully, we’ve got Meghla here to help clear up some of the confusion. According to Meghla, a manufacturer has their own factories, and they specialize with one type of product like wood, metal, or plastic. Trading companies will often have several different types of products available, and they usually won’t help you modify a product. Learn more about the difference between these two types of suppliers by listening to this episode! Why you should check out Global Sources. Don’t get stuck using the same old names in product sourcing if you don’t have to! Branch out beyond Aliexpress and Alibaba and give Global Sources a shot. Global Sources has been in business for over 40 years. They have built a trustworthy B2B platform that serves buyers and suppliers online and offline. Global Sources has more than 1.5 million international buyers, including 94 of the world’s top 100 retailers who use these services to obtain product and company information to help them source from overseas supply markets. You can learn more about Global Sources by checking out their website located in the resources section. Make sure to do your homework! Let’s face it, sourcing your product can be a complicated and scary process! After all, you are talking about sending funds overseas with the hope that you’ll get a shipment of product in return. Don’t take this step lightly; do your homework! If you still don’t feel comfortable after your research, reach out to folks like Meghla to see if they can help alleviate some of your fears. To learn more about the whole sourcing process, make sure to check out this helpful episode of The Amazing Seller! [3:30] Meghla joins the podcast to talk about her work with Global Sources. [7:00] What you need to know about sourcing your product. [9:00] The difference between a trading company and a manufacturer. [13:30] What makes Global Sources different than their competitors? [16:45] How does Global Sources vet their manufacturers and suppliers? [19:00] Meghla talks about the Global Sources process for getting product samples. [24:30] Where are the suppliers featured by Global Sources located? [29:40] Scott and Meghla take a look at the Global Sources website. [32:30] What is the benefit of attending a trade show? [38:00] How to connect with Meghla and Global Sources. …find new sourcing and manufacturers for our products. Plus we’re going to talk about how to find factories that are willing to do small minimum orders. I know for a lot of us, that is a huge sticking point because well, a lot of companies, a lot of factories want to do 1,000 or more. And that becomes a challenge. So today we’re going to learn how to find those suppliers that are willing to do smaller orders and actually we can do it very, very quickly using something that I’m going to share with you here today. Now, I’ve invited on someone who’s had over 15 years’ experience years sourcing. Her name is Meghla. She works for Global Sources. And if you haven’t heard about Global Sources it’s a platform very similar to Alibaba. And what you do is you go on there and you can get connected with these manufacturers. The cool thing is, they have some nice features built into their platform. They also allow us to find those factories very, very quickly that are willing to do these smaller minimum orders. And to be quite honest with you, there’s a lot of really, really cool features. One of them which I thought was really cool, you’ll hear us talk about it was you can search by different manufacturers that are willing to do minimum orders. And very small minimum orders. And there’s also a feature built in which I really love this, where I don’t even have to communicate back and forth with anyone yet. I can just go ahead and select that I want to order a sample. And then I can just get it and if I want to go further from there then we can but that’s a really cool feature because then I can decide if I even want to discuss anything with this manufacturer. So there’s a lot of really cool things. We also talk a lot about just how to find good suppliers and factories. What to look out for. And how to really look at a company and see if they are legit. [00:02:02] Scott: And kind of look at their history. Really if they are a factory that’s legit. All of that stuff. We also talk about trading companies. A lot of people don’t understand that there’s a lot of trading companies out there and there’s good ones that you can use to launch products very quickly without having to do a ton of modifications if you don’t want to. So if you get a lot of products to market quicker. Also how to find those factories. Like I said that do smaller orders. I think is huge. And then also we do talk about the big question, what’s the difference between Global Sources and Alibaba? That’s a great question. And I ask that question directly to Meghla and she gives me some really good answers. So you’re definitely going to want to tune in to this episode. Even if you have your manufacturing kind of dialed in or you have certain ones that you’re working with, I’m a big, big believer in diversifying everything that you do in business. And it’d be really nice to have a couple of other manufacturers or suppliers in your back pocket. So definitely check out Global Sources and at least what they have to offer there. Totally free to go over there and browse around. And yeah, just check it out. So I’m going to stop talking now so you can listen now to this conversation that I had with Meghla. And everything that you are going to need to know about sourcing products or going out there and finding new manufacturers for your business. So sit back, relax and enjoy. [00:03:29] Scott: Well hey there Meghla. Thank you so much for coming on the podcast. How are you doing? [00:03:34] Meghla: I’m doing great Scott. Thank you so much for having me. I’m super excited. [00:03:38] Scott: Yeah, me too. This is always an exciting topic because a lot of people get kind of hang up on that sourcing phase and I know that you’re going to be able to demystify some of these issues that people are having or what they think as far as going out there and finding good manufacturers because let’s face it. It kind of annoys your world out there with a bunch of people or a bunch of resources screaming at you. So I wanted to really have you on and break down this whole sourcing thing coming from your angle, someone that’s in this and basically day to day operations over at Global Sources. So let’s just kind of dive in a little bit like your back story a little bit. How did you even get into this sourcing game? [00:04:24] Meghla: I’ve been working with Global Sources for almost 18 years now. Well, I’m old. I started way back in 2,000 in India. So I worked for about three years in India then I moved to the Philippines, worked there for two years, then moved to China. I was there for about ten years. And then currently I’m based in Singapore. I’ve done various things at Global Sources. I’ve worked on research reports where I used to visit hundreds of factories, writing very detailed reports on how various products are manufactured in China. And so that’s how I got a real good understanding of what’s going on in the factories and how factories and importers really work. And more recently I’ve been working with e-commerce sellers because we’ve seen an increasing number of e-commerce and Amazon sellers sourcing privately their products from China. So we’ve got a number of educational initiatives for Amazon sellers. And that’s where my focus has been really in the last two to three years. [00:05:27] Scott: Yeah, it’s crazy. It has kind of exploded over the past four or five years. And even myself just kind of getting in the physical products world game. A little bit more seriously in the past four years. And yet, it’s eye opening. But also that kind of brings up the point of well, there’s a lot of competition out there too. And there’s probably a lot of factories that aren’t so legit or… So there’s a lot of things to be a little bit nervous about. And not knowing 100% of the process. And what I’d really like for you to do because you’ve been through this in different industries and now in e-commerce specifically is really walk us through and kind of give us some things to look out for. But then also things that we can do to make sure that we’re getting the best manufacturer out there. I think also going out there and finding the right agent or the right connection that can lead you to the factories I think is also important and that’s what we really try to do. I saw we, myself and my team is really try to find the connections. So that way there we’re not just relying on one manufacturer or we’re not just relying on one source. So maybe we can just dig in like what is the biggest thing that people need to know in 2019 about sourcing? Like what are some things that people need to be aware of? [00:06:54] Meghla: Yeah, I think the very first thing is to remember that each buyer, each Amazon seller is different. You’re sourcing for different product categories for different countries. So you want to make sure that you find the supplier that’s right for your specific needs. That’s the most important thing. I think in China, there’s no good or bad supplier. It’s just whether or not the supplier is right for you. So for example if you’re sourcing for the US and you want to make sure that the supplier has experience exporting to the US and they can meet all of the certifications and the other requirements for that product category. And another thing that you have to keep in mind is what kind of business are you trying to run. Are you trying to just specialize in one specific product category or do you kind of double in a lot of different kind of niches. So that also would determine the kind of supplier that you’ll deal with. So for example if you want to just test out a product category initially you might want to go with the trading company because they will be able to give you smaller order quantities. Whereas once you’re scaling you definitely want to go directly to the manufacturer because that’s when you’re able to get the manufacturer to modify the product based on your specific requirements. So it really depends on what your needs are, what you’re looking for, where you are in your business. That’s a very important thing. That’s the starting point I would say. So what I tell buys is the first thing you need to do is make a list of the things that are important for you and the things that you’re looking for in your supplier. What does your ideal supplier look like? And then once you have all of those things, then you go out and start looking for suppliers either online or at the trade shows. [00:08:47] Scott: That’s some good points there. So one of the biggest things that I hear a lot of people, they don’t really understand is a trading company versus a manufacturer. Maybe you can kind of elaborate on that a little bit and kind of let people know what that actually means. [00:09:03] Meghla: Absolutely. So in China there’s no real clear line between manufacturer and trading companies. Sometimes manufacturers also deal as trading companies. And sometimes trading companies have investments. In fact it’s murky. But broadly speaking, manufacturers of course have their own factories and so they can manufacture the product. However, usually manufacturers specialize in one type of product category. So for example them they’ll do plastics. And then if they do offer other product categories in their catalog, they’ll usually outsource those to other factories or just source them from trading companies. So that’s one thing. Manufacturers usually manufacture a particular type of product category. You don’t really see a manufacturer doing plastics and wood at the same time in the same category. The processes are completely different. And then how to identify a manufacturer, like sometimes when you go to a company’s website or if you’re looking at their booth at a trade show, look at the product categories on display. And if they are very similar then that probably means that this is a manufacturer and the company manufactures all these products in house. But if it’s a very varied kind of stuff product range then they are probably a trading company. 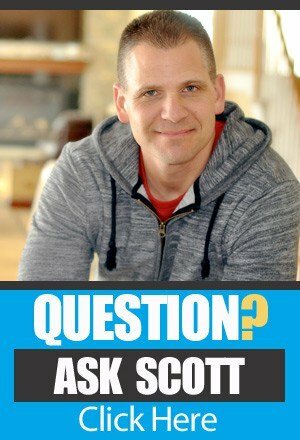 [00:10:28] Scott: Would a trading company be able to modify a product for you though? [00:10:36] Meghla: Generally no. They might make one or two, make minor modifications. But if it’s a complex product and if you want significant modifications it’s better to build directly to the manufacturer. You can talk to engineers there, whoever on the actual assembly line. You can talk to people there. And it’s just nothing gets lost while you’re communicating via the trading company. So they can but it’s better to go direct to the manufacturer if you’re planning significant changes. That’s what I’d say. 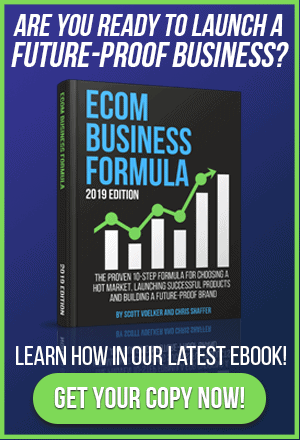 [00:11:07] Scott: I guess what I was getting at is because we would love and I say we, as e-commerce sellers we want to test new products before we go and do a massive amount and all of that. It’s hard a lot of times to get the smaller quantity than 1,000 let’s say or 5,000. And so to be able to rapidly launch products with some small tweaks would be helpful. But I know that it’s just going to depend on the manufacturer, the type of product if there’s a mold being created. Like all of these things are going to come into play. But I was just trying to see like, is it worth someone going. Like is a trading company like going to a place like… I’ll just bring it up because we’re going to talk about it like Alibaba, AliExpress. Like AliExpress to me is kind of like someone’s shop that you’d just go in, pick something off of the shelf, buy it and then walk out and then resell it. Like that’s kind of how I look at it. Is a trading company very similar to that? [00:12:02] Meghla: Some of them are and some of them like carry stock and they’ll say these are the products that we have. Just take whatever you want. But some of them are more established and like better trading companies they’ll make modifications and work with you to communicate with the manufacturer and do your modifications. So yeah it is a good idea to go to a trading company especially if you wanted just to test the product and make minor modifications. I think you should probably do that. [00:12:32] Scott: Yeah, I even think too that some modifications could even be packaging. So could be the same item and then you could just modify your packaging and at least do that on a smaller quantity or… And we’ve actually played around with this ourselves. It’s where you can have a whole bunch of boxes printed for a lot less than the actual products and then just have 500 of the products boxed up and the other one just kind of sitting in a warehouse until you actually use them. So that’s another idea. But now that we brought up Alibaba and AliExpress and you guys are Global Sources, I know the question that people are going to ask because they ask this all the time is like what is Global Sources? What do you guys do? And what is different then you guys and Alibaba or AliExpress. Because I mean the way that I am looking at it from the outside looking in is kind of like, you kind of do the same thing in a sense. So what do you guys do different? [00:13:24] Meghla: So first of all, not many people know that Global Sources was set up in 1971. We’ve been around for years. We started with catalogs in 1971. And at that time Global sources was really the only company that had a supplier directly. And that was the only way people could actually access Chinese manufacturers and it was mostly through Hong Kong trading companies at that time. But then of course we launched our website in the 1990s. That’s when Alibaba was launched too. And then so one of the key differentiators is that at Global Sources also runs exhibitions. So we like to call this O-to-O or online-to-offline. We offer a holistic sourcing solution where you can meet suppliers at a trade show and at the same time you can also source online. And then there’s a higher percentage of manufacturers on Global Sources. Of course there are tons of manufacturers on Alibaba too. But there are a lot of trading companies and brokers as well. And sometimes it becomes difficult to differentiate trading companies from manufacturers on Alibaba. But on Global Sources what we try to do is verify as much information as we can that suppliers post on the website. First of all we verify their business license. So if a company is not registered as a business they cannot post their company profile on Global Sources profile. And the other thing that we do is we check their license to set up a factory. So in China the government has to issue a license to somebody who once set up a factory. So if they have that license then we know that they are a manufacturer or at least, we really can’t tell that they are actually manufacturing all the products that are posted on their website. But we know that they have the license to set up a factory from the government. And on the website you can see this icon ‘verified manufacturer’. So when you see that icon on any supplier, you know that we’ve checked their business license. [00:15:31] Meghla: And their authorized by the government to set up a factory. That’s the other thing that we do. [00:15:37] Scott: Okay. I think the trade show thing is a great thing too because again you guys are kind of doing both. You’re kind of bringing the online to the physical location which I think is important. So if you did want to do that. Now, I know there’s Kempton Fair but Kempton is like that’s a fair for all manufacturers and it’s not just… Yours is Global sources and that’s your trade show. But not that I’m aware of Alibaba really has something like that other than a lot of their manufacturers are showing up at the Kempton Fair. [00:16:13] Meghla: Correct, yes. Alibaba does not have trade shows. They only have their supplier directory. [00:16:19] Scott: That’s interesting. And so let me ask you this. So the vetting process so what kind of vetting goes into these different manufacturers and suppliers that are listing on Global Sources. Because that’s a big one. I mean a lot of people are afraid of even buying on Alibaba because they just feel they’ll kind of game the system and they are going to get their stuff on there and I’m going to buy from someone that hasn’t been vetted out properly. [00:16:44] Meghla: Absolutely. So one of the thigs that we do as I mentioned was make sure that it is a legitimate company with a business license. I think that’s important because sometimes on Alibaba you’re going to find people who are just individuals and they are sitting in their basement sourcing products from ten different factories. And sometimes they just pose as manufacturers. They say that we have a factory but actually they don’t and sometimes they’ll even take you go a factory but it’s not their own. They’ll say, ‘Oh this is the factory, I’m the owner.’ But then you go there you realize that they don’t know what’s going on. And it’s not really theirs, it’s actually their sister’s, uncles or something like that. So that’s one thing that we do. And then we try to verify other information as well against third party databases. For example, we’ve integrated with Import, export databases in the backend. So when a supplier says that they export to let’s say the US or a certain country, we cross check that against databases in the backend. Of course it’s not possible to do for each and everything that suppliers mention on their website. But wherever possible we try to do that. Another example would be certifications. So the supplier says that they have a certification for a certain product we have integrated with databases of other companies that issue these certifications and then that is kind of verified on the back end. So on the website when you’re looking at a supplier’s profile, look for a green check mark beside the information that they’ve given and that check mark means that we have verified that information against the third party database. [00:18:24] Scott: Okay. So there is some cross checks there. And then as far as purchasing. Like if someone wanted to do the deal with this manufacturer and they are going back and forth, and I’m assuming that you are connecting with manufacturers that are doing private labeling, that are able to create the custom boxes, create the custom branding and all of that stuff. How does that all work? Do you have your own communications platform and transaction platform and any third parties as far as like Escrow? How does that whole process work? [00:18:58] Meghla: So currently we don’t have a transaction platform. But we’re working on it and it’s going to be rolled out in a couple of months actually. What we currently have is… There’s a new feature we launched to buy samples on the website that we’re really excited about. So this is basically a section on the website where we’ve listed all of the samples currently available on our suppliers and they are categorized by different industries. For example you find all the samples under consumer electronics and home products and stuff like that. So we’ve got about 100,000 samples listed over there currently. And the reason why this is really convenient for buyers is because it saves a lot of time. Because currently if you wanted to buy a sample from a supplier you have to contact them, you have to ask them, hey do you have a sample for this, this product. Then the seller will come back and say, ‘Oh no. We have a sample for this product but then a different color.’ Then you have to renegotiate the price of the samples. It’s a lot of back and forth. It takes a lot of time. But with this service we have on Global sources you can look at the samples that are currently available and then buy the samples right then, right there on the website and pay for the sample on the website itself. So and then the sample is shipped by the supplier within two days. So I think it will just save a lot of time. And we’re encouraging suppliers to post their newest products on this section. So of course if you’re looking for a very specific product and you’re not able to find it here then you still have to find this supplier and ask them. But all of these are products that are readily available from the supplier to ship instantly. So I think that’s one advantage. And then we’re working on the transactions. Currently we also have messaging systems. So when you contact a supplier on Global Sources you have the choice of communicating via our messaging system or you can also communicate offline, via email or WeChat. [00:21:04] Meghla: But the transaction currently happens off Global Sources. But we are soon going to launch a process we’re going to be able to do transactions on the Website and we are working with Escrow for that so that the payments will be secure. [00:21:19] Scott: Okay. Cool. Yeah, I’m actually on Global Sources right now and I was just doing a random search under like fishing stuff because I always talk about like bass fishing and stuff. And this ice fishing tent popped up, and it shows that it is 300 pieces is the minimum. 15 to 25 days lead time and it just says enquire within. Sample price $100, request a sample. So that’s kind of what you’re talking about. Like you can just basically order that sample like today and it can be on its way and then you don’t even really have to even contact the manufacturer if you don’t want to and just kind of… So you can see even if it’s something you want to explore further. So that’s pretty cool. And then you have a calculate margin, little calculator there which I think is cool. And then on the right-hand side I’m seeing it says fourth year with Global Sources. So that’s kind of your verification thing. And then average response time less than 24 hours. Verified information, it’s got the green check mark. Chat is offline. So it’s very, very user friendly which I like. I guess the question that people will have and even my own question is like these people are vetted so if you did a transaction with them the chances are it’s probably going to be okay because again this company has been with you for four years. There’s been a big major issue they are not going to be on your site any more. [00:22:40] Meghla: Exactly. Yes, yes absolutely. So we’re very buyer focused and we take buyer complains very seriously. I mean literally we get a buyer complain on social media or somewhere or we receive a buyer complain via email we have a process to handle it and it goes up to management and we’re required to give weekly updates on what happens in that situation. Why did that supplier do this. So we take buyer complaints very seriously. And if a supplier “cheats” a buyer then we take them down from the website, even if they are a paying supplier. So we have a process in place where we give them a warning. And then first waning, second warning and then we just take them down if it’s kind of a repeated thing. So when you’re sourcing from China there’s always a risk. And one of the main reasons for most problems when sourcing from China is miscommunication. I don’t think most suppliers out there they want to cheat buyers but it’s mostly miscommunication when buyers are not really communicating their specific needs to suppliers very clearly. So suppliers of course are dealing with so many buyers, with so many different requirements, if you don’t tell them what you specifically want then they are just going to assume things or they are going to use the cheapest material out there or whatever is in their own interest. So I think it’s very important to make sure that you give very, very specific details to suppliers. [00:24:17] Scott: Okay. Cool. Okay so the other question is are you only finding suppliers in China? [00:24:27] Meghla: So most of the suppliers on our website and trade shows are from China. I’d say about 85% to 90%. But we do have suppliers from Korea, Taiwan, India. We’re seeing a lot of interest in India nowadays. And a lot of the exhibitors at our fashion sourcing trade show are actually from India. So they do textile, fashion accessories, things like cushion covers, rugs, home products. And we’re seeing a lot of interests in countries like Indonesia, Vietnam. And this is I think in view of the percent tariffs, US and China. [00:25:14] Scott: Yeah, we know all about that. You’re right. People are going to start wanting to find other countries to source from and just for diversification reasons. You don’t want to depend on one. Even if you were just kind of go back and just find another one in China I think it’s a good idea to find another supplier just in case that one supplier either can’t fulfill orders or maybe goes out of business or whatever, we definitely should have a backup in place. Now, are you connecting us to agents? Are you connecting us to manufacturers? Are you connecting us to whoever is in charge of that company or is it a mix? I’m just curious about that. [00:25:57] Meghla: So it’s mostly manufacturers on our website. And some trading companies. We typically don’t have agents on the website. You might be able to find some sourcing agents if they’ve listed their company for free. But we typically have manufacturers or trading companies. Those are the two types of companies. And on our website, trading companies are very clear about the fact that they are trading companies. So you’ll be able to tell by their business type that they are a trading company. And you can also read through the company profile. We actually put in a lot of effort and work with the supplier to write out that company profile and highlight the USPs. Because every supplier is different. They have different strengths and so we try to work with them to identify what their strengths are and highlight that in their company profiles. So I’d encourage people when you’re looking for suppliers on the website read through their company profile to kind of get a sense of what they do and what they specialize in. And it will be mentioned very clearly in the profile if they are a manufacturer or trading company. [00:27:13] Scott: Yeah. I think I can give an example here. That same company that I was looking at it was a pop-up fishing tent for ice fishing. And it is Together Gifts and Import and Export Company Limited. And it just says right here, ‘Offering a wide range of products Together Gifts, Import and Export Company.’ Basically it says Together Gift is in charge of exporting products worldwide. So does say TG groups has own factory of stainless products. So it says that but they are also going to have other products that they are going to probably, like you said just connect with other manufacturers and just sell their products. [00:27:58] Meghla: I was just saying I think that’s really important when you’re sourcing from China. That the company needs to be clear about who they are. That’s the most important thing and sometimes what happens is, this actually happened to me when I was in china. I was visiting a factory. So I visited this factory in the morning and they had the sign on the outside of the building. I was like, okay, I’m visiting the factory. I went to the reception, great, toured the factory and then the afternoon we had to visit another factory with another prospect. So we went out in the afternoon and they took us to the same factory and it was like, ‘Wait, I was here this morning.’ I went there and they had changed the company name on the reception and they were like, ‘Oh this is a different factory.’ I mean it’s the same factory but a different company then we knew that something was going on. Something is not right over here. So you have to be very careful about that. [00:28:56] Scott: Yeah, that’s a great, great point. I would encourage people to go to Global Sources and just start searching because that’s all I did and I’m literally discovering kind of how the platform works but also all the things you have at your disposal to really vet out a company because you’ve done all that work. I kind of drilled into this one company and now I can look through. It looks like they’ve actually, they’ve expanded their company over the past. They’ve been in business since 2003 it says. And this tells you how many staff. There’s 550 to 599 employees. Business type: exporter. So it gives you all that information to just kind of drill in to that company and see exactly what they offer. It even gives like sales manager and it’s got four of them. So I would encourage people to go and look around and really just start looking at the platform. They also have like verified supplier and this one here is a three out of six stars. So it’s got some negative stuff too. So I’d want to drill into that and see what was negative about it. [00:30:09] Meghla: So let me clarify about the stars. The star ranking is not the same as the star ranking on Amazon. I think it’s misleading. So the star ranking is basically how much information the supplier has given to us to post on the website and how many products they are able to post on the website. [00:30:30] Scott: I got you. Now that I clicked in there I can read that. It says that exactly. That’s good to know because I’m looking at that like they only got three stars. There must be an issue. But it’s actually three stars of information, so have about 50% of the information filled out or they filled out. And that’s what gives you the star ranking and stuff. I see that now, I just clicked on that to see. I was going to see what the negative stuff was and it’s not. I’m glad you cleared that up. That’s actually a good point. [00:31:00] Meghla: I think there are two other things that I would like to point. So when you’re doing a search on the website there are a couple of filters that I think Amazon sellers will find very useful. So there’s ‘accept small orders’. So after doing the search you can select this filter and you’ll only be able to see suppliers that will accept small orders. Which is actually an increasing number of suppliers nowadays. And then the other one is ‘accept sample orders’. Again if you click that filter you’ll be able to see only suppliers that have samples available. So those two filters I think are very useful especially for Amazon sellers. [00:31:39] Scott: Yeah, that’s really good. Because then you can kind of skim through. You don’t have to go, ‘Oh I got to find out how many suppliers make this type of stuff. And then I got to see how many people actually do like small orders.’ It would cut down on the time that it would take to actually find out if they’d actually do it. So that’s really good. Let’s talk a little bit about trade shows and kind of going to a trade show. I know you guys do spend a lot of time on that and you guys see value in it which I can understand. Let’s talk a little bit about that and let’s talk a little bit about one you actually have coming up. And then maybe we can wrap this up with whatever else you think would be beneficial for people that are looking to either source their first or looking for new sourcing. [00:32:28] Meghla: Absolutely. So I think there are a couple of benefits sourcing from trade shows. First of all you can actually catch and feel products. I think that’s really important. That’s the kind of experience you can’t have while you’re sitting on a computer. And it speeds up the process a little bit because you’re there, you can look at the products, you can compare products from different manufacturers. And you can talk to companies and instantly get information from them. So that’s very important. I think it just speeds out the whole process a little bit. And then you can be the first to source any of your product. Because a lot of companies launch their product at exhibition and then those products are posted online couple of weeks or months later. So you can actually be the first to source a new upcoming product. And then you can get new product ideas. You’re walking down the aisles of exhibition and looking at good and products on display and you might come across a product that you would not have thought of sourcing if you were not at the exhibition. And then it’s also a good way to deepen your relationship with your current supplier. And you can of course do that at a factory as well which I actually really encourage everyone to really do it at least at some point in their business especially when they are scaling up. And then sometimes you can get better payment terms because suppliers know that you are really serious about sourcing and you’ve invested the time and money to come to a tradeshow. And they will offer you better terms because they know that you’re real and you’re a serious buyer. So I think those are some of the benefits of attending a trade show. [00:34:24] Meghla: There are actually two times in the year when most of the trade shows are held in Asia. April and October. And there are a couple of key trade shows. So there’s Kempton Fair which is held in Guangzhou in Mainland china. And then there are a couple of trade shows that are held in Hong Kong. Global Sources Fairs are also held in Hong Kong. And most of the trade shows are scheduled in a way that makes it easy for buyers to go from one tradeshow to another. And typically trade shows specialize in specific product category. So for example for Global Sources we have four trade shows. One for consumer electronics, mobile electronics, lifestyle products and fashion products. And then Kempton Fair has three phases. The first phase covers electrical and electronics products. The second phase that most ecommerce sellers go to covers gift products and home products and then the third one is more fashion accessories and textile products. So if you are considering to come to a tradeshow, the first thing you want to do is identify which Trade shows you want to visit depending on the product you are sourcing. And then look at the dates and then plan your trip. So if you’re sourcing electronic products, then I’d say Global Sources is a must go because there are two trade shows with 7,000 booths or so. And it is the world’s largest electronics sourcing show. And if you’re sourcing gifts and home products I’d say that Kempton Fair is a must go. It’s a very large exhibition with hundreds of thousands of suppliers. And Global sources lifestyle show is actually smaller than Kempton Fair but we try to focus more on featuring new and innovative products. We try to curate a lot of products at our trade show. So that’s kind of the differentiator, one of the differences between Kempton Fair and Global Sources. The gifts and home products kind of fairs. [00:36:27] Scott: And so the other question is do you only host these in Hong Kong? Is it only there? Do you do any in the States? [00:36:43] Meghla: We used to do shows in the states. We used to actually take Chinese suppliers to Miami. Yeah, there was one five years ago. We used to do shows in Johannesburg, Miami, India, couple of other locations. But we’ve stopped doing that now. But what we’re doing now is we’re hosting shows in different countries with suppliers from those countries. So for example our next show is in Indonesia and it features electronics, suppliers and companies from Indonesia. So that’s quite interesting and that’s something that we’re going to be doing more often in the future. [00:37:23] Scott: Okay. Some people would be like if you had something that was here in the Stages maybe I’d go, it’d be a lot easier. But again like you said, if they want to go and connect with the suppliers and stuff it would probably be worthwhile going there or even in China the Kempton. So okay, that makes a lot of sense. All right, so let’s wrap up this. Let’s talk a little bit about I know that you have a discount that you said that you were going to share with my audience and then also talk a little bit about how people can find out more about the upcoming event. [00:37:58] Meghla: Yeah, absolutely. So our upcoming exhibition is in April. The first one starts on April 11th, electronics one. And then what I also want to talk about is our conference for e-commerce sellers. It’s called Global Sources Summit. It’s going to be held from April 27th to the 29th. So it’s a three day conference that’s held at the same time as our lifestyle and fashion sourcing trade shows. So the idea is that if you’re coming to Hong Kong, you can attend this conference and learn all about sourcing and selling online. And at the same time you can start sourcing products from Chinese manufacturers and manufacturers from other countries as well. So we have about 24 speakers at this conference. Most of them are from the US. We also have speakers from China and Japan and New Zealand. Most of the attendees at the conference are actually from the US and Europe and also from Asia. We try to focus on topics that are more relevant for intermediate to advanced because most of the sellers coming to Hong Kong or Asia they are more established. They are typically not new sellers. They are people who’ve already been selling. And they are trying to up their business a little bit by coming direct to China. Some of the speakers that we have are Kevin King, Mike Jackness, he’s going to be there and then we have Will Mitchel. Kevin King is actually doing an advanced workshop that I’m really excited about. So this is a four hour workshop that he’s going to be doing after the summit on April 29th. And he’s going to be sharing a lot of very detailed information about how to rank your products and how to select the right products and how to optimize your listings and things like that. [00:40:01] Meghla: I’m really excited about that. So we do have a code for all of your listeners in case anyone’s interested. They can go to Globalsources.com/summit and then they can use the code SV100 for $100 discount. [00:40:21] Scott: Awesome. I’ll link everything up there in the show notes as well. So that will be great. And I’d encourage people. Definitely look at global sources. To me it’s another way for you to connect to suppliers. Another way for you to possibly build out your product line and really to me diversify your manufacturing and your supplier. I’d definitely encourage people to go check out Global Sources. I know I will be for sure. So definitely check it out. I’ll link everything up in the show notes like I said. And Meghla, I just want to say thank you so much for taking time out of your day. I know you guys are busy over there at Global Sources. And I just wanted to say thank you for coming on and sharing your knowledge, your wisdom and also opening our eyes to potentially another way for us to source products and not just go to the same place that everyone else is going to. I just want to say thank you for coming on. [00:41:18] Meghla: Thank you so much for having me Scott. [00:41:21] Scott: All right, so there you have it. Hopefully you enjoyed that. Hopefully you’re excited now to go out there and find some new manufacturers or some new suppliers to at least diversify your business or maybe you can just go outside of where you’re currently purchasing your inventory to go out there and maybe even find better pricing or maybe that next product. I really, really think this is a great opportunity for us to be able to go out there and diversify our business even further. Now, she did mention a code. If you want to get $100 off, a discount use code SV100 and you’ll get that. And yeah, I’d give it a test even if you just wanted to order a sample. Like I said, so easy if you go on their website you can see on the products, most of the products there’s a little button there that will say order a sample and it will give you the price on what it is. And you don’t even have to contact that company directly yet. You can just get the sample before you even get into conversations with that businesses with that manufacturer. So definitely check that out and I’d definitely look at the minimum orders feature which is built in which I love it. If you want to search for your product or a similar product and then only search for manufacturers that do minimum orders, that’s really, really helpful to be able to do that, especially if you’re in the testing phase of new products or a new product line. So definitely check that out. Globalsources.com. Again, SV100 for that $100 discount and even if you’re not ready right now, I’d definitely go check out the site and just kind of browse around and kind of start digging into your market. And see what products are available and what kind of manufacturers are there because even if you don’t find a product similar to the one you’re selling or the ones that you’re selling you can still connect with the manufacturer that makes that type of stuff and then they can make your new version or they can make your brand new product that you’re going to be rolling out. [00:43:23] Scott: So this way you can connect with that type of manufacturer. And in this case it wouldn’t be a trading company. It would be the manufacturer. So definitely just go there and browse around at globalsources.com. And Like I said if you want to use that $100 discount code use SV100. All right guys, show notes can be found at theamazingseller.com/654. Get all the show notes and the transcripts all over there. All the links we talked about will be there as well. And that’s going to pretty much wrap it up. So guys, remember as always I’m here for you, I believe in you and I am rooting for you. But you have to, you have to… Come on, say it with me, say it loud, say it proud, “Take action.” Have an awesome, amazing day and I’ll see you right back here on the next episode. TAS 420: (HOT SEAT) Sales Dropped after Back in Stock – Should I KILL this Product?